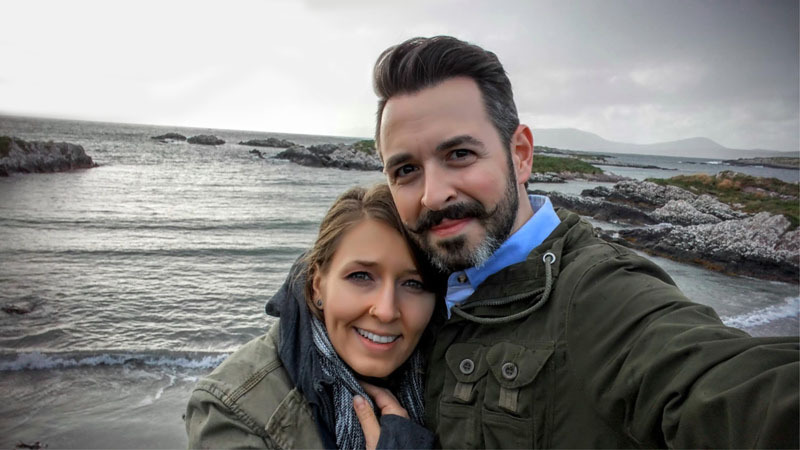 Today we’re excited to have Rand Fishkin as our guest and I’d like to thank him for taking the time to answer a few questions, but especially – for his career so far. Rand, I’ve been waiting to say this for a long time: thank you for what you’ve done to evangelize and grow the SEO industry, while mentoring and inspiring countless SEOs from all around the globe (or from the surface of the Flat Earth, if we’re going to be politically correct). To folks reading this in 2100 I say: back in the day, in 2018, Rand Fishkin was the most prominent figure in the SEO world. 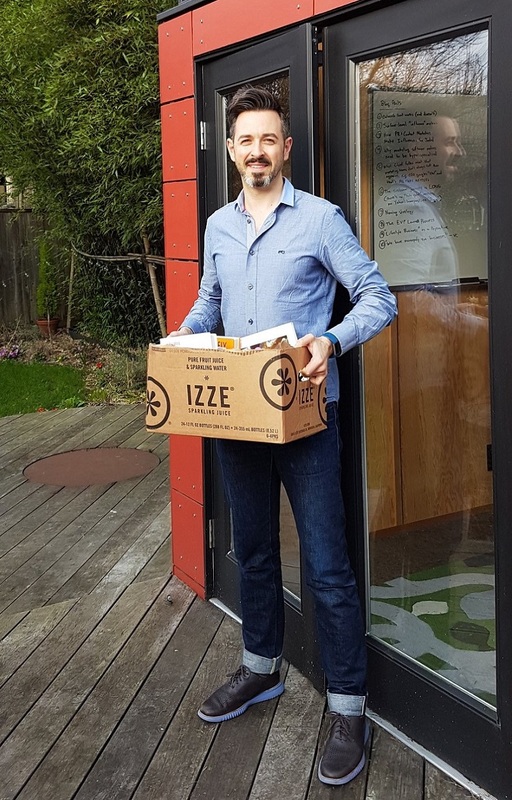 After almost 20 years in SEO – he’s seen it all, done it all, been everywhere, and now he’s here to tell us a bit more about his amazing journey so far, but more importantly – about what’s coming next – his book Lost and Founder and new startup SparkToro. SEOlium: Rand, you’ve done so many great things and yet you never graduated from college. When people outside the SEO community ask about your job or what you do for a living – what is your answer? 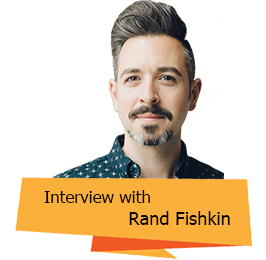 Rand Fishkin: I usually say I’m in the software or marketing field. If they want more information (which is rare – sadly, I don’t think either profession is particularly interesting to most folks outside our worlds), I’ll explain that I started a company that makes software for marketers to help them rank in Google. SEOlium: Why did you write this book – Lost and Founder? I love the conversations that happen between entrepreneurs and founders (or potential founders) when we go out for a coffee and swap our painful stories and heartbreaking experiences. I wanted a way to scale that conversation – to help others make fewer mistakes, or at least, not exactly the same ones I’ve made. I needed a project I could be solely responsible for. So much of my work at Moz in those final years depended on lots of software engineers, product managers, layers of managers, marketers, etc. I wanted a project whose success or failure was entirely in my hands. It took me a year to write the rough draft, and a second year to get through the editing, revisions, cover designs, printing, and pre-launch processes. Writing a book is a lot of work, but it’s also deeply rewarding. My goal with Lost and Founder is to help other people see the reality that most entrepreneurs and startup folks are uncomfortable or afraid to share. That’s what real transparency means. SEOlium: You’re a creator (blog posts, startups, SEO tools, video content, books etc.). Have you ever experienced “artist’s block”, like in The Grand Budapest Hotel :) ? How do you cure it? Rand Fishkin: Absolutely! When writing Lost and Founder, I frequently found that I’d have days of pounding my keyboard in frustration, getting nothing written, even when a deadline was looming. Other times, I’d find that paragraph after paragraph poured out. Writing is an odd thing – you can schedule 10 hours to work, and get nothing done, then have only 45 minutes one afternoon and crank out 5 pages of great material. It seemingly defies explanation. I can understand why so many writers believe there are magical forces governing their inspiration. SEOlium: Lost and founder is about embracing failure, patience, and ambition. What can you say about the price you paid for those lessons? What, if anything, would you tell 20 years young Rand? 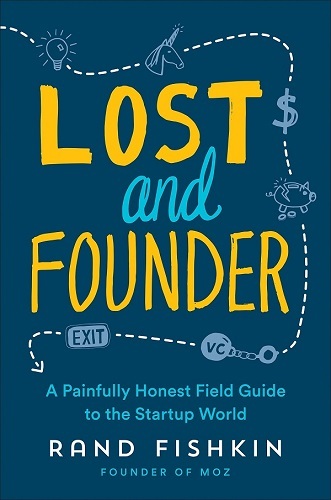 Rand Fishkin: Lost and Founder really is what I’d tell Rand of 20 years ago. It’s the missing manual I want to give to myself, and in that, I hope there is value for many others too. As to the price paid – my entrepreneurial missteps cost Moz, its investors, employees, and customers a lot. They lost money and time, but also friendships and goodwill, and the opportunity cost to do other things with their personal and professional lives. That said, I think Moz, despite my mistakes, was still a great place for a lot of people, and one that many customers and employees are thankful existed in spite of my bad decisions. SEOlium: Can you share your most favorite fragment or quote from the book? So here we are as founders, stuck in the middle. Take an early exit and be branded a sellout who couldn’t hack it and went for the early money. Reject that same offer only to struggle in the years ahead and you’re an overambitious fool who recklessly turned down a sure thing. Play for the IPO path and you face interminable struggles and the stark reality that less than 5% of VC-backed companies ever make it. 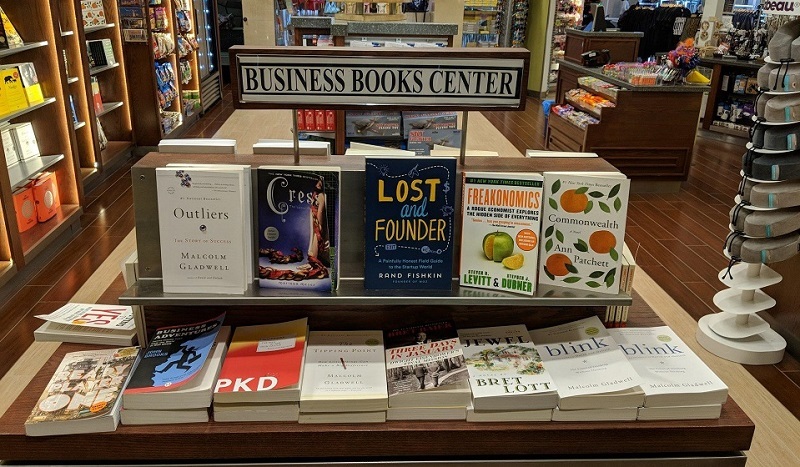 What’s a founder to do? SEOlium: Have you ever thought of going back to school and becoming a professor? Aside from your family, SEO, startups, and traveling – what are you passionate about? Rand Fishkin: Never considered going back to school  Just not a great match for me. Obviously, Geraldine is my greatest love, and I can spend hours just hanging out with her. I have a handful of dear friends with whom I love to spend time when I can, too. Apart from those, I’m pretty passionate about the worlds of food and cooking, and I can occasionally get deeply into fiction (usually mysteries). I think in my later years, after I (hopefully) have some more financial freedom and flexibility, I’ll devote some more effort to uncovering other potential pursuits. SEOlium: Rand – is the burden of being an influencer heavy? What are the pros and cons of being a prominent figure in a particular field? As for pros and cons – mostly pro. You have the ability to make your voice heard. You have the potential to connect with people who would otherwise never answer an email. You often earn financial benefits (or the chance for them). The only big con is that visibility can sometimes encourage very negative behavior from small groups of people. Sometimes, that can have a scary impact on your life, especially for women (who get 10X the threats men do, and vastly more follow through on that ugliness, too). SEOlium: Let’s switch to SparkToro for a second. Can you tell us a bit more about this project – what it is and when can we expect to see the tool? 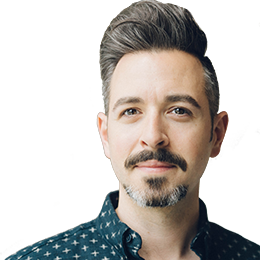 Rand Fishkin: SparkToro is an old idea – how do I find the publications and people that influence my audience? – but one that hasn’t, in my opinion, been turned into a great, focused product yet. That’s what led me to it; I’ve worked with so many marketers on projects and companies of all sizes, and I’ve seen how frustrated we all get by this research-intensive process that can have such a big impact on the success vs. failure of a campaign. The basic idea behind SparkToro is to build a huge database of profile entities from public web data such that we can answer this question well in a programmatic fashion. If you’re seeking to know which podcasts are listened to most by classic car enthusiasts or what conferences and events chemical engineers attend or which Twitter accounts get the most engagement from craft cocktail aficionados, SparkToro’s built to help. The tool is probably at least 9-12 months away still. This is a hard problem to solve. SEOlium: How many already signed up for the tool? Rand Fishkin: Well, since it doesn’t exist yet, technically no one. But we’ve had a ton of people (a bit over 3,000) sign up for the product notifications. We’ve also had a few dozen companies and agencies tell us they want to be our first customers, which is deeply flattering, and also indicative of how painful a problem this is. SEOlium: Will there be something similar to the Whiteboard Friday? Rand Fishkin: I’m sure I’ll develop a content series of some kind, but it won’t step directly on the feet of Whiteboard Friday until or unless Moz decides to end that series. SEOlium: Is there a very rigorous business plan, a tight schedule or do you let your passion drive your daily tasks? 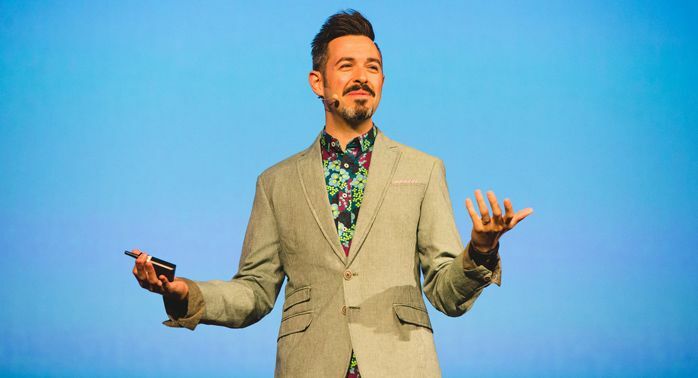 Rand Fishkin: A combination of both. So far, I’ve been very focused on the setup aspects – legal, accounting, taxes, payroll, insurance, etc. Just those basics is really time consuming. The other big piece has been fundraising, and that’s meant a degree of formality in putting together a compelling prospectus, reaching out to right folks, having a great story backed by data, etc. Many of my days are also divided between SparkToro and Lost and Founder marketing items – blogging, podcasts, interviews (like this one! ), etc. But I’m doing my best to tie those two together so there’s not much lost focus. SEOlium: How would you define SparkToro’s success? Rand Fishkin: More than anything, I want to produce a product that people truly love and want to use to solve this problem. That’s the primary goal. From there, we’ll see what kind of revenue and growth it can support and direct the business to best exchange value with folks who love it. SEOlium: And can we expect a 301 redirect to www.spark.com in a couple of years :) ? Rand Fishkin: Ha! Probably not. SEOlium: Can we see some pictures of your new office? SEOlium: You need a slogan :) Do you already have something in mind? Rand Fishkin: Not yet. Gonna make sure we know our audience and our unique value proposition a bit better before trying to craft that. SEOlium: Will you ever go back to Moz, given the opportunity? Rand Fishkin: I’m still chairman of Moz’s board, so technically am still involved. It’s hard to imagine going back as a full time employee in the near future, but I suppose I shouldn’t rule anything out entirely. SEOlium: What other plans do you have for 2018? SEOlium: What was the best advice someone gave you and what can you tell your followers? Most of the positive things that have happened in my career can be traced to that advice, and most of the worst things are when I strayed from it.